Even with the manufacturing industry’s decades-long dominance in the U.S. economy, it’s still a relative newcomer when it comes to all things B2B marketing. Now that most of the industry has evolved from print to online, tactics are changing. Instead of word-of-mouth referrals and newspaper advertisements being the most effective ways to get new business, everything is shifting onto digital platforms. To help buyers and suppliers stay ahead of the latest shifts and emerging trends, we constantly analyze the industrial/B2B buying activity taking place at Thomasnet.com, where every 2 seconds a buyer evaluates a supplier. 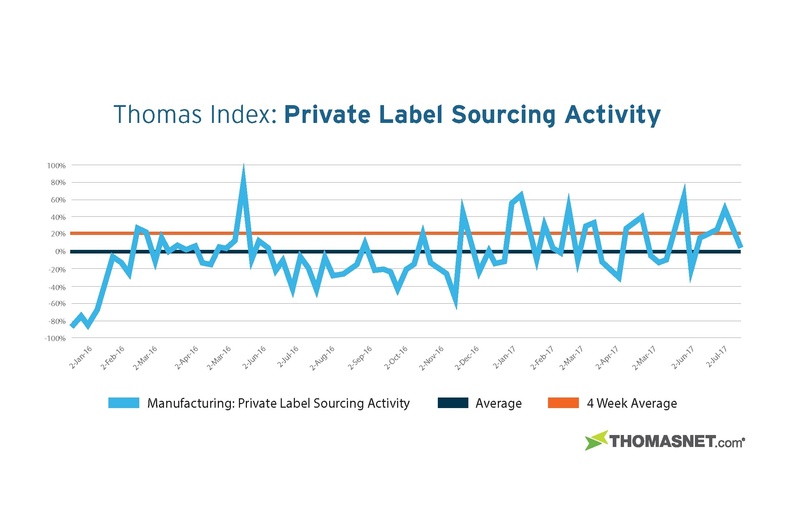 This powerful, proprietary data fuels our Thomas Industrial Index. 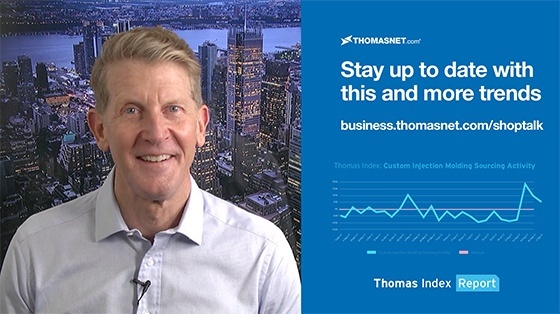 To help buyers and suppliers stay ahead of the latest shifts and emerging trends in the digital industrial economy, we constantly analyze the industrial/B2B buying activity taking place at Thomasnet.com, where every 2 seconds a buyer evaluates a supplier on our platform. This powerful, proprietary data fuels our Thomas Industrial Index. Cybersecurity In Today's Interconnected Supply Chain: Don't Build An Apartment. Build A House. Take a moment to consider all of the components of your organization’s supply chain. Commonly, quite a few capital assets come to mind: raw materials, machinery, warehousing, logistics, distribution centers, brick and mortar sites, office locations, point of sales, and so much more. Whether it’s keeping employees connected to one another, interacting with customers, or generally exchanging data from one system to another, interconnectivity is a crucial, but risky, component of supply chain management. And, in a world where millions of cyberattacks happen each day, companies can no longer afford to approach cybersecurity with an “if this happens” mindset, rather establish the proper structure and protocol for when it does. 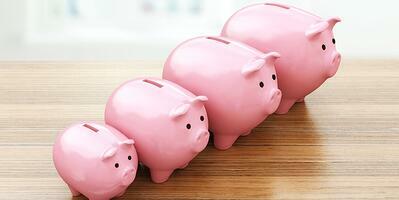 As the digital world reshapes the industrial world, marketing budgets are on the rise. According to ENGINEERING.com's annual survey of engineering marketers, twice as many respondents reported that their budgets were growing rather than shrinking in 2017. As industrial marketing budgets continue to rise, more funds are being allocated to the creation of content — in the form of blogs, eBooks, email campaigns, videos, webinars, infographics, and so on — as good content is at the core of any successful inbound marketing program. More B2B buying activity takes place on THOMASNET.com than any other resource on the planet. In fact, a buyer evaluates a supplier every 2 seconds on our platform. To help buyers and suppliers stay ahead of the latest shifts and emerging trends in the digital industrial economy, we constantly analyze all of the buying activity taking place on the platform. 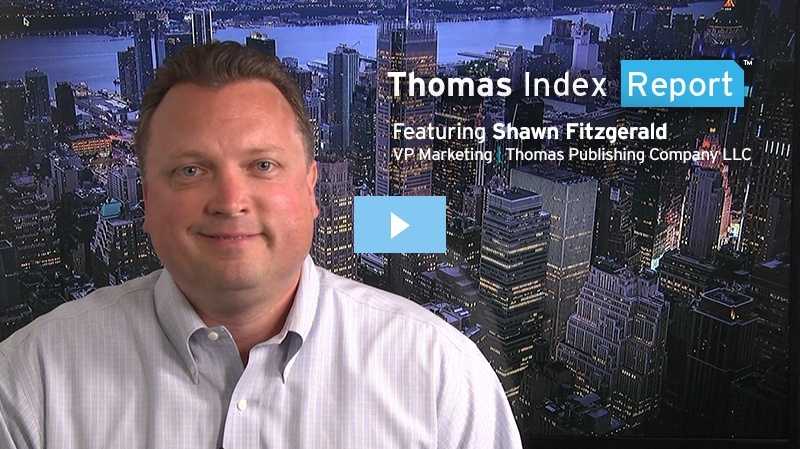 This powerful, proprietary data fuels the Thomas Industrial Index. Soldiers are about to get a big upgrade courtesy of engineers at the U.S. Army Research Lab. The engineers are creating a DARPA-funded exoskeleton suit that will help soldiers carry heavier equipment, march longer distances and improve mental acuity. The suit is made of pulleys and gears that help prevent and reduce musculoskeletal injuries, which is a common occurrence for many soldiers. The suit is already making major impacts as servicemen and women have reported improved endurance and reduced stress on their joints during tests. The future of high-speed transportation blazed one step closer to reality last week. Hyperloop One, based in Los Angeles, just tested its pod for the first time, and the test was a big — and really fast — success.